Telstra has unveiled a suite of new consumer mobile phone plans as the telco moves to simplify its product lineup. The telco has announced three 'BYO' mobile plans and five mobile plans for customers seeking to lease or purchase a new handset. 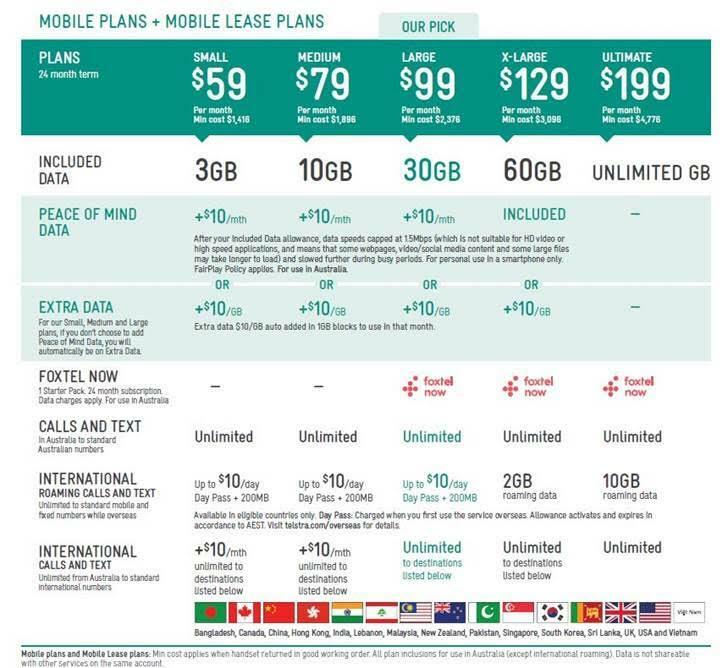 Among the new offerings announced today is the ‘Ultimate’ plan, which costs $199 a month and includes unlimited full-speed mobile data. 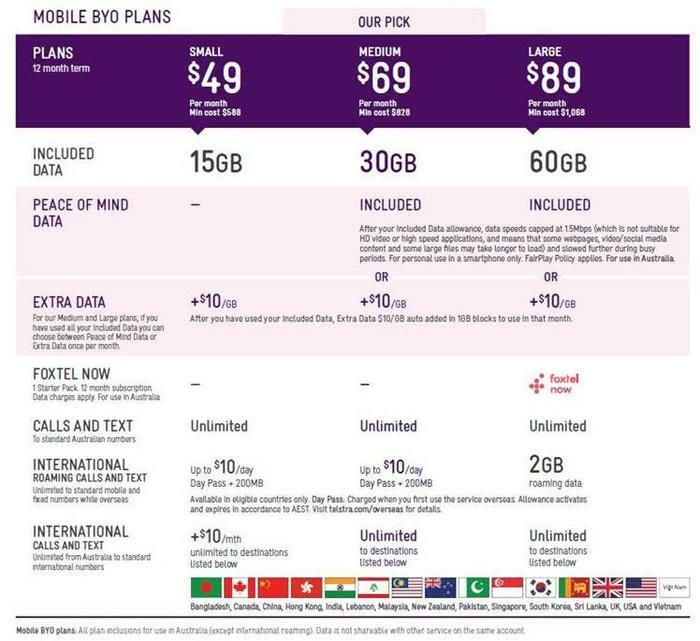 On the other plans Telstra includes or offers as an option ‘Peace of Mind Data’: Instead of paying for additional data once an individual has blown through their monthly allowance, an end user’s download speed will instead be capped at 1.5Mbps for the remainder of the billing period. Earlier this year Telstra was on the receiving end of a lawsuit from rival Optus after it launched ads that employed the slogan “One word from Australia's best mobile network. Unlimited.” Those ads were launched alongside an ‘endless data’ offering from the telco that capped excess data usage at 1.5Mbps. A Federal Court judge found that Telstra engaged in misleading or deceptive conduct with the ads and Optus is now chasing Australia’s largest telco for damages. “From enthusiastic smartphone owners to parents giving young family members their first mobile, Peace of Mind Data provides the confidence that they can use their phone or tablet and never incur additional data fees in Australia,” the Telstra CEO said. Data traffic on Telstra’s mobile network is growing 50 per cent year-on-year, Penn said. Telstra is investing $5 billion in its network over the three years to 30 June 2019, the Telstra CEO added. Earlier this month Telstra switched on LTE broadcast (LTE-B) across its network. The telco is also preparing to launch 5G services.